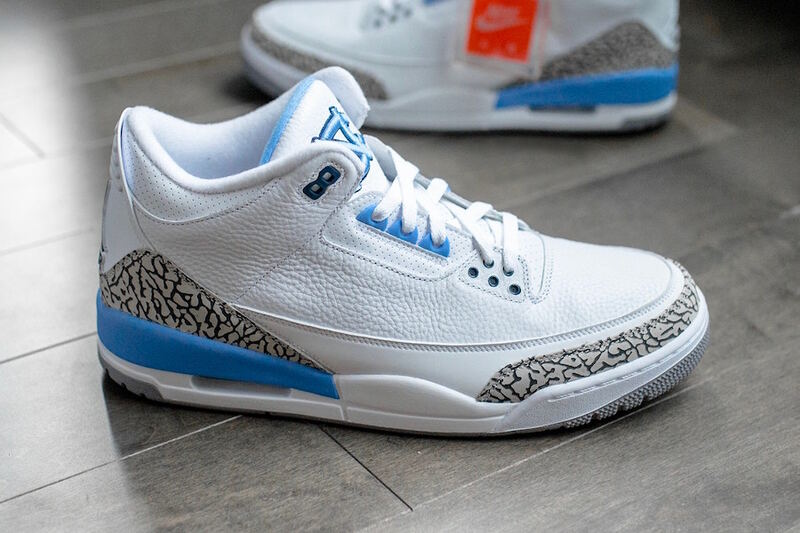 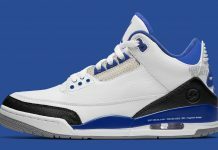 Jordan Brand created a limited Player Exclusive Air Jordan 3 UNC colorway inspired by MJ’s alma matter. 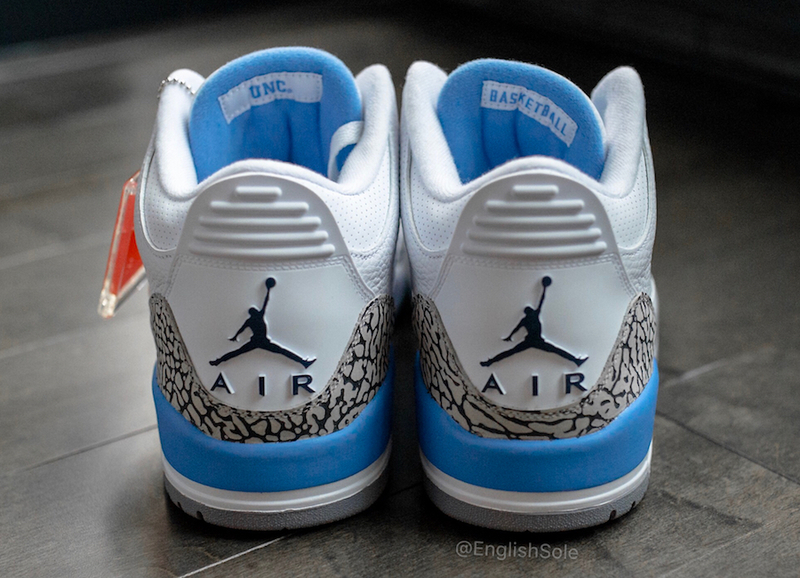 The UNC Tarheels signed with Jordan Brand a few years back and became one of the first schools to be under the brand. 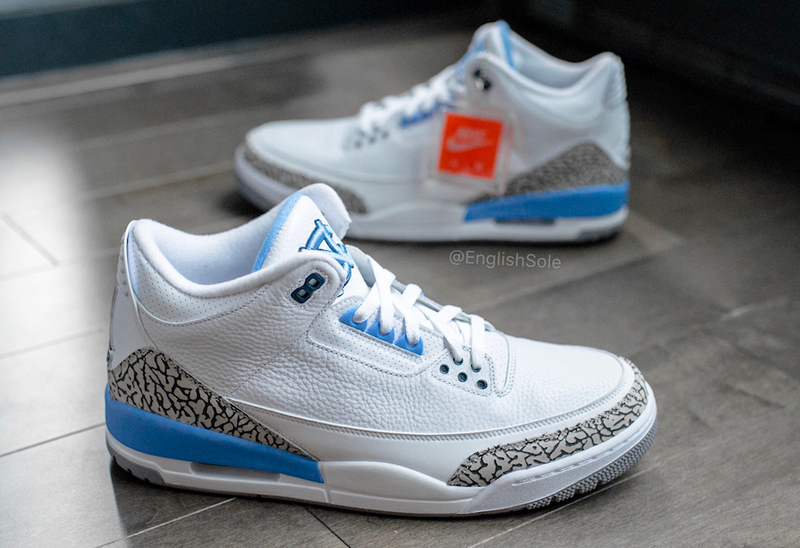 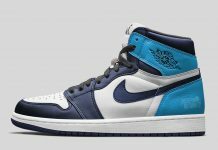 In 2018, Jordan Brand created a special PE featuring the North Carolina Tarheel colors, alongside the signature OG cement print. 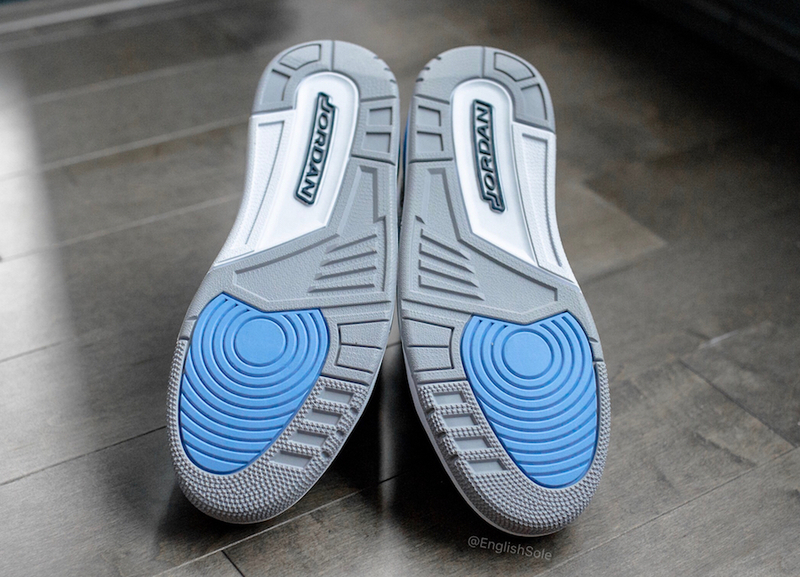 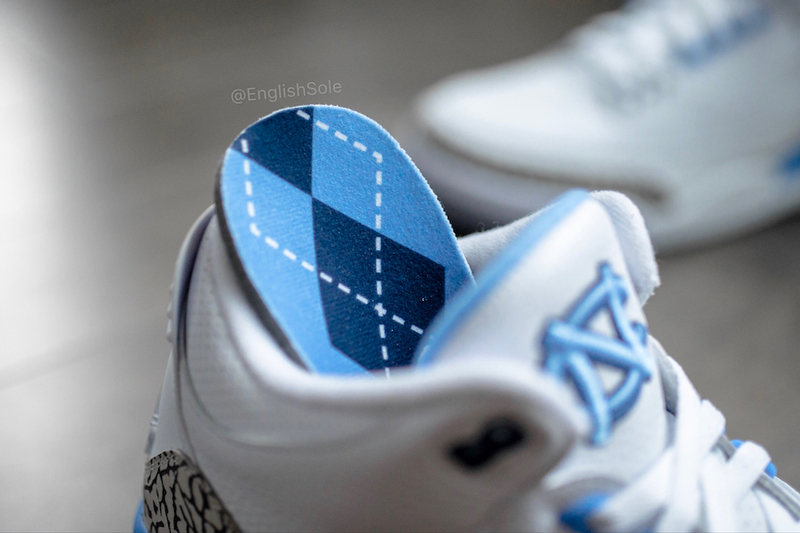 The UNC logo is stitched on the tongue, with further Jordan Branding throughout. 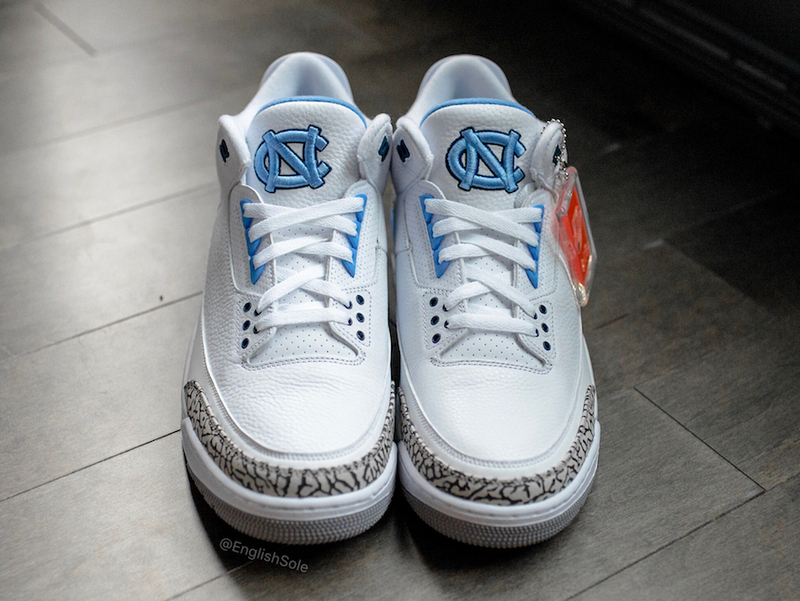 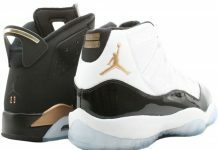 These are limited to 250 pairs so for those looking to cop, you might need a plug on these.